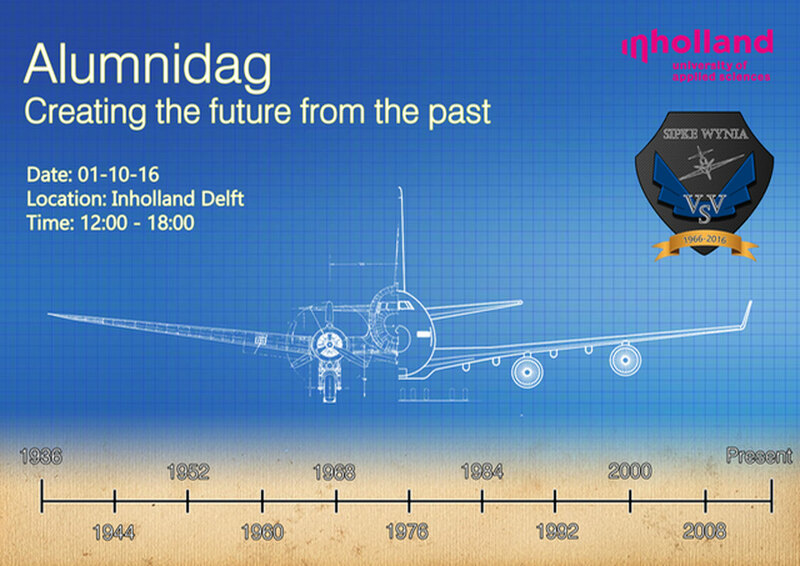 On October 1st nearly 250 people traveled to Delft to meet their old classmates and teachers during the 80th anniversary of the Aeronautical Engineering faculty. Every 5 years there is a lustrum, but this year turned out to be a very well visited edition. No doubt the 50th anniversary of V.S.V. Sipke Wynia was a contributor to the success. The oldest participating alumnus was Piet Romein (grandfather of one of our current students) who graduated in 1961 and the oldest teacher was Mr. Willem van Bodegom. Being 81 years old he still drove home afterwards with his well know Volvo station like he used to do until he retired 20 years ago. Some retired teachers don’t know when to quit, which became clear again with Daan de Vos. This old Aerodynamics teacher, aged 79 (and one of the few honorable Sipke members) was the last one to return home. These were just a few highlights of many which characterizes the diverse range of participants. 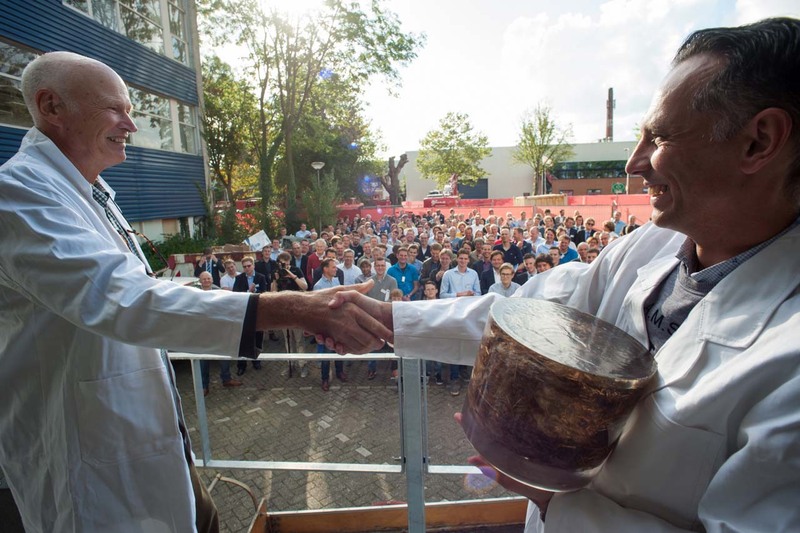 A very special guest was invited that day to re-open the composites laboratory. 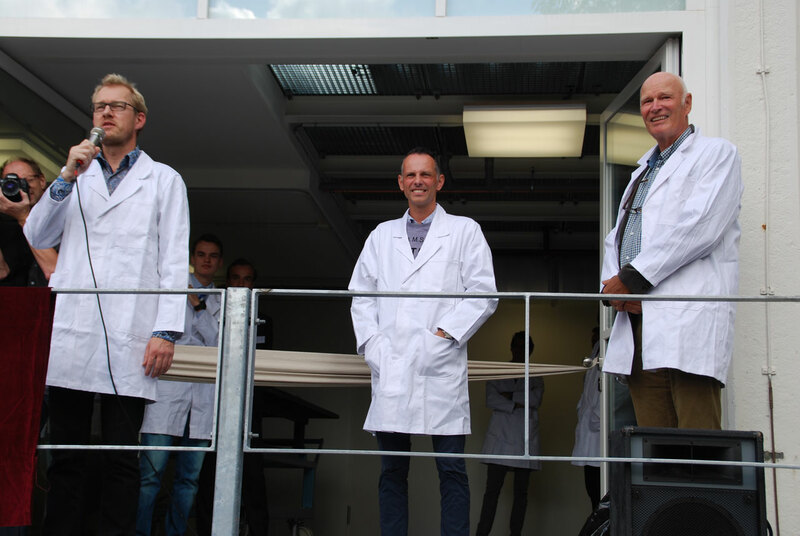 Piet van der Zanden, retired and Aeronautical Engineering faculty head between 1979 and 2003, honorable Sipke member and founder of the original composites laboratory in Haarlem in 1988 put on his lab-coat once more to inaugurate the new location of the lab. At the ceremony Piet returned a gift he once received in 1998 from the graduation students. Primal composites, Piet always used to call it. Others know it as elephant dung. “Just like the old days” or “it was great to feel the old atmosphere again“. Many compliments like these were shared afterwards about this lustrum edition. I am looking forward to 5 years from now. Visit the Alumni LT association website to see more information and find more photos of this event.